Daily Resort Charge will be added to the room rate and includes: Guest internet; private beach services with chairs & beach towels; Mizner's Quest discovery tour; 2 fitness centers & classes; golf driving range; family room with computers & games; 10% off tennis; domestic long distance/local calls.Situated on 356 acres in South Florida, Boca Raton Resort - Club A Waldorf Astoria Resort, carefully combines a fresh look and the finest in modern amenities. Daily Resort Charge will be added to the room rate and includes: Guest internet access; 2 bottle water daily; daily shuttle service to the beach & 3 mile radius of resort; beach chairs; towels; umbrellas; 2 hour bicycle usage daily; 4:30PM-6PM champagne reception; domestic & Canada LD phone serviceDiscover an elegant retreat at Waterstone Resort & Marina Boca Raton – Curio a Collection by Hilton. 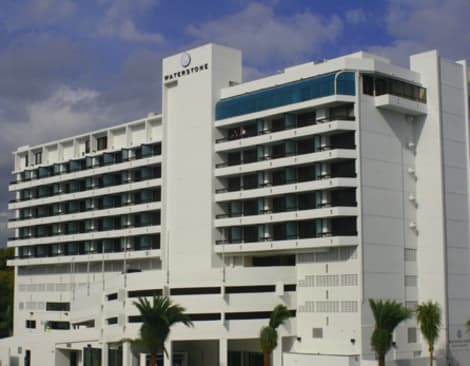 Overlooking the peaceful waters of Lake Boca, the resort is just steps from the beach and minutes from the Mizner Park center, with an array of world-class shopping, dining and entertainment. 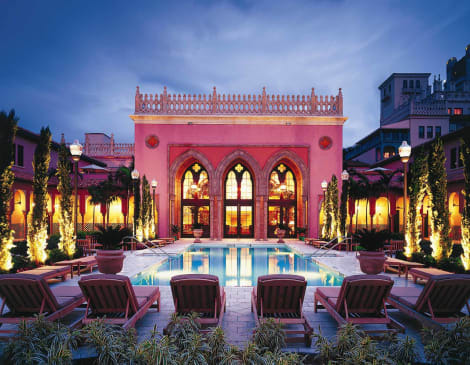 With custom-made furnishings, exclusive local artwork and unprecedented water views, our Boca Raton resort offers an artistic leisure retreat.Combining style with convenience, each guest room offers modern amenities including a mini-refrigerator and a private water-facing balcony with fantastic views. Select an elegant suite for extra space, an upgraded bathroom and a separate living area. Perfect for larger groups or entertainment, our expansive Presidential Suite boasts a large dining area, a wet bar and two balconies.Dining is an experience at Waterstone Resort & Marina Boca Raton, with a focus on fresh, locally-source seafood and a choice of open-air seating. Savour upscale dining and unprecedented 180-degree views of the lake at Boca Landing, or dine poolside at Waterstone Bar & Grill offering all-day menu with a tropical touch. Enjoy recreational facilities at our Boca Raton resort including an array of onsite water sports and an outdoor pool with stunning views.Whether it’s your dream wedding, a glam cocktail reception or a private business meeting, host it in the spectacular setting of this Curio resort, with 8,000 sq. ft. of indoor/outdoor meeting space and panoramic water views. Make yourself at home in one of the 152 air-conditioned rooms featuring flat-screen televisions. Complimentary wired and wireless Internet access keeps you connected, and satellite programming provides entertainment. Private bathrooms with shower/tub combinations feature complimentary toiletries and hair dryers. Conveniences include phones, as well as desks and complimentary weekday newspapers. Take advantage of recreational opportunities offered, including an outdoor pool, a spa tub, and a fitness center. This hotel also features complimentary wireless Internet access, wedding services, and complimentary use of a nearby fitness facility. Make yourself at home in one of the 91 air-conditioned rooms featuring kitchens with refrigerators and stovetops. Your bed comes with premium bedding, and all rooms are furnished with sofa beds. Wired and wireless Internet access is complimentary, and Smart televisions with cable programming provide entertainment. Conveniences include desks and complimentary newspapers, as well as phones with free local calls. Make yourself at home in one of the 120 air-conditioned rooms featuring fireplaces. Your bed comes with premium bedding, and all rooms are furnished with sofa beds. Kitchens are outfitted with refrigerators, stovetops, and microwaves. Complimentary wireless Internet access keeps you connected, and cable programming is available for your entertainment. Enjoy a meal at the restaurant or snacks in the coffee shop/café. The hotel also offers room service (during limited hours). Relax with your favorite drink at the bar/lounge or the poolside bar. Buffet breakfasts are served on weekdays from 6:30 AM to 11:00 AM and on weekends from 7:00 AM to noon for a fee. Enjoy a range of recreational amenities, including an outdoor pool, a spa tub, and a fitness center. This hotel also features complimentary wireless Internet access, concierge services, and gift shops/newsstands. Make yourself comfortable in this air-conditioned condo, featuring a kitchen with a stovetop and a microwave. Cable programming and a DVD player are provided for your entertainment, while complimentary wireless Internet access keeps you connected. A private bathroom with a shower/tub combination features a deep soaking tub and complimentary toiletries. Conveniences include a safe and a coffee/tea maker, as well as a phone with free local calls. 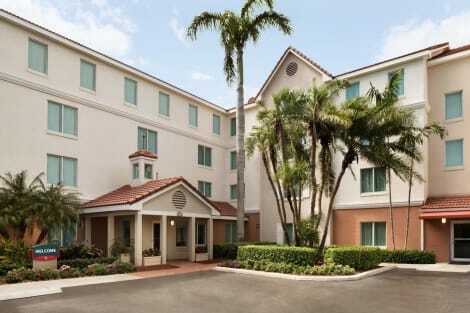 lastminute.com has a fantastic range of hotels in Boca Raton, with everything from cheap hotels to luxurious five star accommodation available. 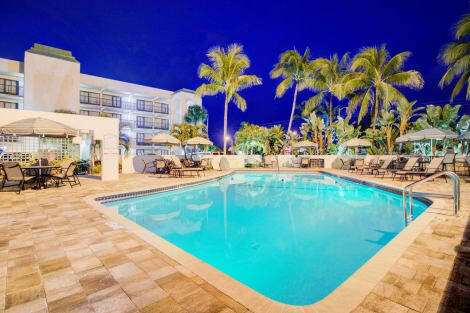 We like to live up to our last minute name so remember you can book any one of our excellent Boca Raton hotels up until midnight and stay the same night.